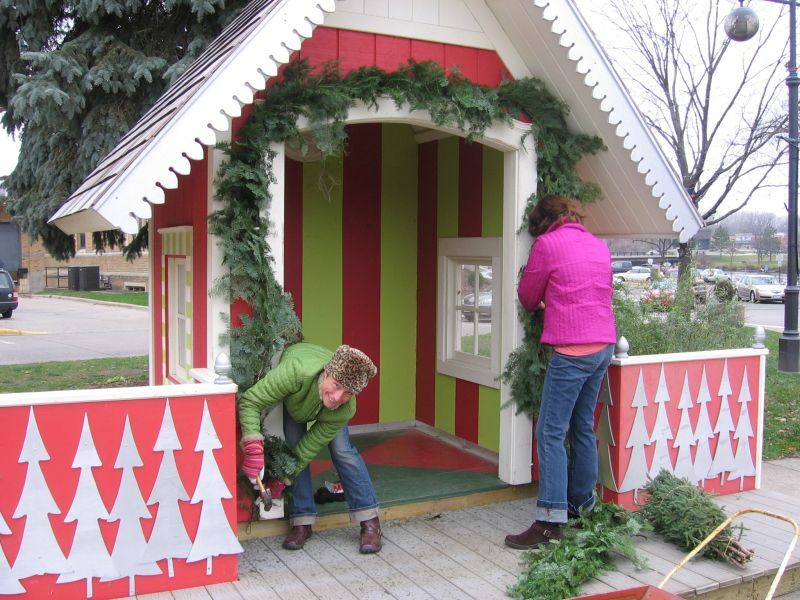 I caught two of the more industrious elves, Linda Schneewind and Jami Klehr of digs, putting some decorative touches on the Santa’s House in Bridge Square. It’s become a holiday tradition in our authentic and walkable shopping district with its unique mix of shops and restaurants. Santa’s House is part of the effort to encourage Northfielders to do at least some of their holiday shopping locally. In today’s Strib (Wednesday November 21) there’s an article about this topic titled: “Made in Minnesota gifts keep on giving”. Lee Egerstrom, economics fellow at Minnesota 2020, author of “Made in Minnesota: The Value of Buying Local This Holiday Season”, is encouraging consumers to buy local products this holiday season. He suggests that even switching a small portion of your shopping will help create jobs. Of course Northfield’s biggest “Shop Local” event of the season is the always popular Winter Walk, an annual event sponsored by the Retail Committee of the Chamber of Commerce. This year’s event is Thursday, December 6th, from 5 to 9 pm. So mark your calendar and come on down(town) for friends, fun and shopping local.